Finally got around to getting my car up and running. Everything seem to be working great. I did have tach noise but was fixed by shimming the vr sensor closer to the wheel. I have not got a chance to actually drive the car yet. Car is currently getting prep for paint so it will be a while before i can road tune. Engine is a S7 engine with a mild port and no exhaust porting. Mounted to the side is a holset he351ve vgt turbo. I think this thing will be a spool monster lol. I will post some vids when I can. Ecu is v3 ms2 extra daughter card for vr sensor. My only question is how do I double check the timing to make sure they are in sync. Set the "fixed timing" to -5, and then check the leading timing against the appropriate timing mark. If it's off either adjust the CAS position until it lines up, or adjust the tooth #1 angle until it lines up. I recommend adjusting it using the CAS though. No CAS on the FD, only two VR sensors mounted next to a trigger wheel. Tooth #1 will need to be adjusted in software. Ahh, I missed the "rew" there. You can set the leading timing for -5, and then set the split to 10, and the front rotor trailing timing should line up. I might be mistaken on where the line is though, it's been several years since I worked on an REW. ok thanks i need to see if i can find any info on this. But beside checking the timing everything seem to be working great. Has any tried the knock sensor yet. I have the circuit on the board I got. Gonna test it out and see if it works. I hook it up on the stim and hit with a wrench and it seem to work but in the car might be a different story. here is a couple of vids finally got timing synced up. Just need to do the intercooler piping and get some seat time tuning. Did find out that fd mark was -20 so i set it using that. It was close I only had to change offset by 3 degrees. This week I will get some boost tuning started and finish up my vgt actuator setup. Ahh, knew it was something like that. When I have the time I'll also make one with a nice holset.. I fear the 351ve is a tad small on the turbine side.., I have a HE55v lying around for if I ever reassemble the 20b..
Will you use the electric actuator or convert to pneumatic? the HE55v i have comes with a pneumatic actuator stock, but I also have a small he341ve with the DC motor electric actuator..
please post when you have it mapped! I'd be careful with VGT's, especially on a rotary; its only very recently that they've come up with the materials to keep the variable vane plate & actuators working for gasoline exhaust temps, and even then it was with very specific, exotic materials on the Porsche 997 turbo. Our exhausts get a bit hotter than that, and I doubt the turbo you got is meant for gasoline EGT's in the first place. Basically, if you run it hard, its likely to seize up or begin to melt. That being said, hope you have good luck with it, and what are you doing to actuate it? That is the unknow question is will it last I have one of these turbo on my dodge diesel. I have a programmer on it the highest egt I have seen is 1500f with no trouble. I know the rotary can do that without breaking a sweat that is why I am using methenol to help drop egts. Look at my post in the single turbo forum to see actuator setup. how did you actuate the the vanes? Roxy's daddy how did you actuate the the vanes? 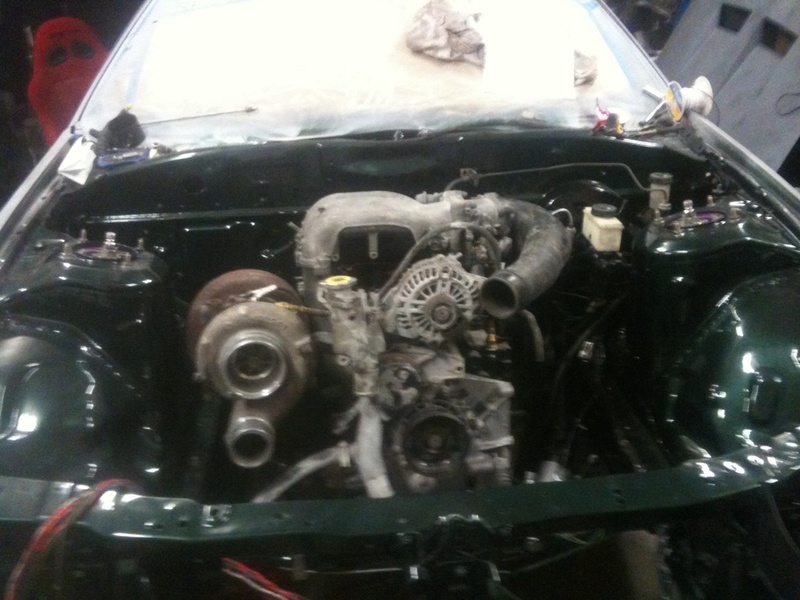 13bdarren Look at my post in the single turbo forum to see actuator setup. You Left click his name and choose "View Public Profile". On his profile and Left click "statistics". Left click "Find all threads started by 13bdarren". Look on the Right side of the screen where it lists the forum his thread was posted in. Choose the one about his VGT turbo. He states he was only running a spring that keeps the vanes "closed" and exhaust manifold pressure opens the vanes. VGT is hard to tune with MAP based tuning since the engine VE changes with the changing exhaust manifold pressure (especially rotaries). I would switch to MAF sensor with MAP and EMP pressure correction tables if using a VGT turbo. 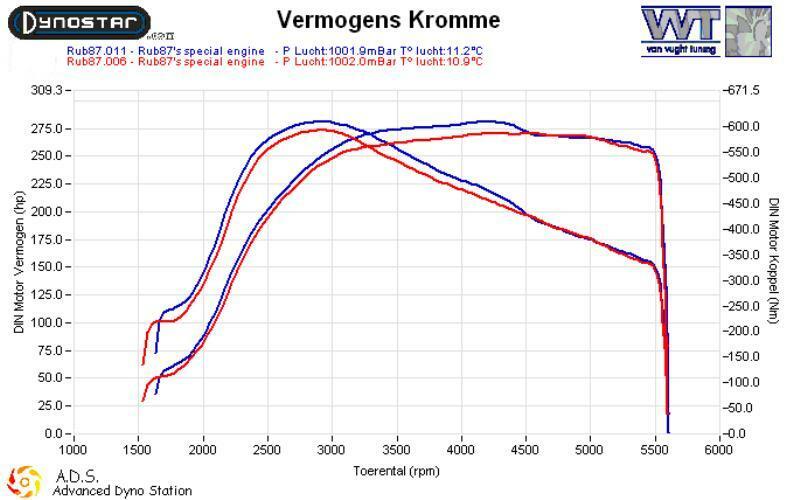 VGT can definitely better turbo response, but as his dyno charts show it cannot spool a turbo to any higher boost per RPM than say a simple no moving parts EFR turbo. This is because the rotary is limited by the turbo compressor surge line and not by lack of exhaust energy available to spool the turbo. Therefore, you can dispense with the VGT turbine housing and use a simple VGT exhaust manifold (like a S4 TII). You can use a stock 3rd gen sequential manifold and a dual runner dual WG manifold for small exhaust area and high velocity through one runner at low rpm and more exhaust area through both runners at a set higher rpm. Tuning will be easier and possible with our usual MAP since the "variable" exhaust are only happens once and at a set RPM (so you have an engine with staged VE). I ran one of these Holset VGTs for about 6 months. I tried several different actuators to try to keep the vanes closed but it still spooled marginally better than a GT35R. What I learned most was that the small turbine 70/60mm and very small A/R from the VGT created lots of back pressure. Small adjustments to the VGT actuator would change my AFRs in cruise and idle and the engine felt anemic. I switched to a GT40R and the transient response wasn't quiet as good but the engine felt much better off boost. Cool thanks for the in depth info and directions. Microsquirt V2 / zero split on 13b PP ?